Tammy attended Illinois State University and double majored in Early Childhood Education and Sociology. She has worked in both daycare and school environments for the last twenty five years. Most recently she worked in the Early Childhood Special Education Department with the Grand Haven Area School District for 10 years before starting her position as Program Director for Kids Kampus. She is married and has three children and she and her family attend Lakeshore Baptist Church. She moved to Michigan from Illinois almost twenty years ago and loves everything Michigan has to offer. Miss Karen has been with Kids Kampus for ten years. She has attended and earned many credits in the Early Childhood Development field at Muskegon Community College. Karen is married and has three teenage sons, all who attend Lakeshore Baptist Church. Miss Rachel has grown up in Lakeshore Baptist Church and has always been closely connected with Kids Kampus. 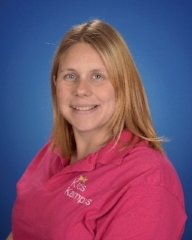 She has worked at Kids Kampus for over five years and has taken many early childhood development courses through The Care Courses School online. Rachel is married and has 2 dogs. She loves being out doors and spending time with family. Miss Traci comes to us with a Bachelor’s Degree in Psychology from Grand Valley State University. Her focus has always been in early childhood and has spent many years in a childcare setting. Traci is married and has a little girl. She enjoys being with family, camping, being creative, and playing with her daughter. Miss Lyssa has been working at Kids Kampus for three years. She received her Associates degree in Medical Assisting with an emphasis in Pediatrics. She has also taken many early childhood development courses through Care Courses School online. Her passion for children has driven her career choices as well as her belief in the importance of nurturing and investing in young children. Miss Lyssa is getting married this summer and enjoys spending time with family, cooking and hiking. Miss Amanda comes to us with a degree in Early Childhood Education from Westmoreland County Community College in Pennsylvania and has been teaching for over 10 years. Miss Amanda is married and has two boys. Her family “Runs Green” as John Deere tractors are their hobby.